I am an experienced piano technician, please phone or whatsapp me to book your piano’s next tuning, or if your piano requires more specialised attention set up an appointment for a personalised quote. Many factors cause pianos to go out of tune, particularly atmospheric changes. For instance, changes in humidity will affect the pitch of a piano; high humidity causes the sound board to swell, stretching the strings and causing the pitch to go sharp, while low humidity has the opposite effect. 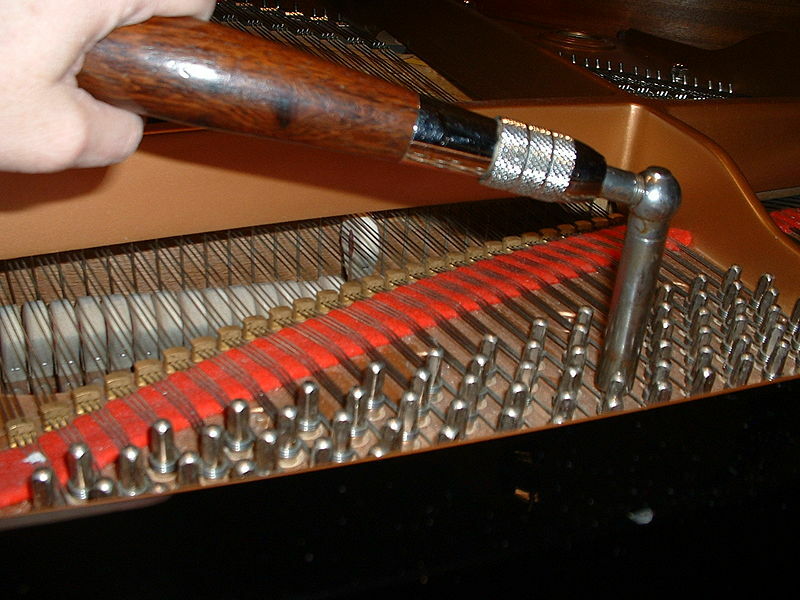 Changes in temperature can also affect the overall pitch of a piano. 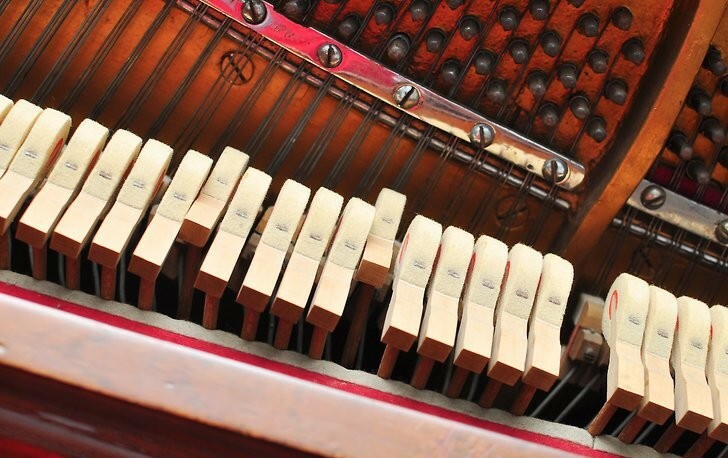 In newer pianos the strings gradually stretch and wooden parts compress, causing the piano to go flat, while in older pianos the tuning pins (that hold the strings in tune) can become loose and don’t hold the piano in tune as well. Frequent and hard playing can also cause a piano to go out of tune. For these reasons, many piano manufacturers recommend that new pianos be tuned four times during the first year and twice a year thereafter. An out-of-tune piano can often be identified by the characteristic “honky tonk” or beating sound it produces. This fluctuation in the sound intensity is a result of two (or more) tones of similar frequencies being played together. For example, if a piano string tuned to 440 Hz (vibrations per second) is played together with a piano string tuned to 442 Hz, the resulting tone beats at a frequency of 2 Hz, due to the constructive and destructive interference between the two tones. Likewise, if a string tuned to 220 Hz (with a harmonic at 440 Hz) is played together with a string tuned at 442 Hz, the same 2 Hz beat is heard. Because pianos typically have multiple strings for each piano key, these strings must be tuned to the same frequency to eliminate beats. The pitch of a note is determined by the frequency of vibrations. For a vibrating string, the frequency is determined by the string’s length, mass, and tension. 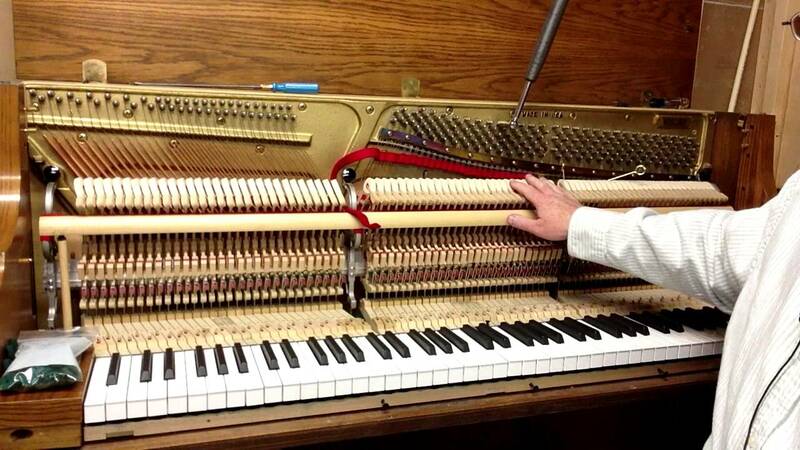 Piano strings are wrapped around tuning pins, which are turned to adjust the tension of the strings.